Bill is a Partner at ISG, leading the Digital Platforms & Solutions Advisory practice. ISG is the #1 ranked sourcing, benchmarking & transformation advisory firm. Bill moved the DP&S practice in it's entirety as part of the ISG acquisition of Alsbridge in Dec 2016. As a trusted advisor, he has assisted the world's largest corporations in implementing global transformation & cost savings initiatives. Prior to ISG/Alsbridge, Bill led IBM's Sourcing and Category Management BPO offering globally. In this role he managed client sourcing teams comprising consulting managers, sourcing consultants and global category strategy leaders for over 30 corporations..
Bill's first stint with ISG was as a Partner at ISG responsible for both Business Development and Delivery of Strategic Advisory Services in the area of SG&A & operational transformation for leading corporate clients. Bill also led ISG's Procurement and Vendor Management practice. Previously Bill was SVP - Strategic Initiatives/Outsourcing Governance for Wachovia Corporation, the 4th largest US Bank w/assets of $499 Billion. In this role, Bill was responsible for implementing transformational initiatives in the areas of ITO and BPO. Prior to assuming this role, Bill served as an SVP, CPO and Director of Strategic Sourcing. 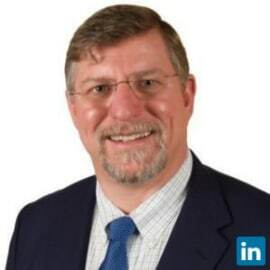 Bill is a recognized thought leader in his space, and has served for four years on the Board of Directors and was twice elected Chairman of the Board of the International Association for Contract and Commercial Management (IACCM), where he was instrumental in establishing numerous research and standards initiatives including the Contracting Capability Model, Commercial Contracting Best Practices and its regular academic symposium. Bill also served on the Board of Advisors for the Sourcing Interest Group (SIG) and as a member of the Society for Information Management (SIM) IT Procurement Working Group.